This holiday weekend is a BUSY one on Lummi Island. Come kick off summer with us! 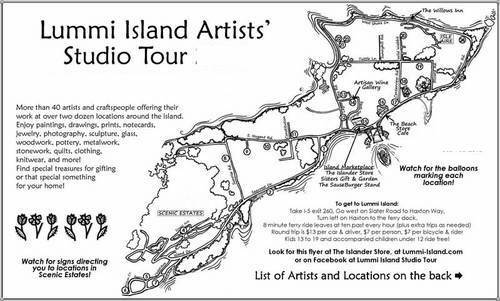 There is a Artist Studio Tour to celebrate the work of Island artists and craftspeople. The Saturday Market opens for the summer. The Beach Store Café beer garden is open to the public. Bikes are ready to rent.